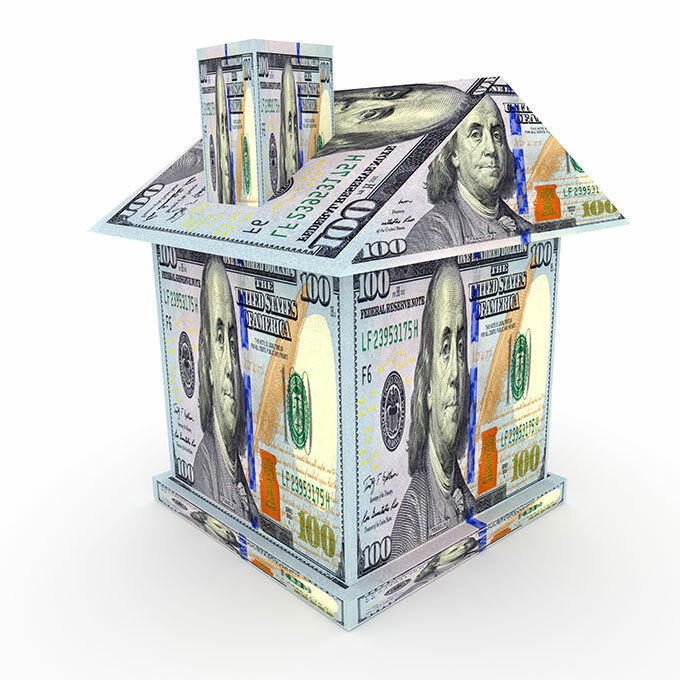 Financing takes several forms, so prospective homeowners must dial-in funding to suit particular needs. Conventional home loans, for example, fund traditional property purchases, typically extending repayment terms for a set number of years. Payback schedules vary, but the most common, customary mortgages are paid back over a thirty-year period. Property owners with equity in their homes are often eligible for another form of financing, which uses reserves built-up from prior payments to guarantee loans. Home equity loans and lines of credit furnish flexible access to capital, so they are characteristically used to fund purchases outside a primary real estate purchase. Home improvements and other ancillary expenses, for example, are frequently funded using these types of loans. Another distinct form of funding addresses costs associated with building new structures. These home construction loans bear similarities to other forms of real estate financing, but there are unique conditions for home builders and prospective home owners to consider when seeking financial support for building projects. Relative to other loans carried by consumers, mortgages are massive. Hundreds of thousands of dollars are generally required to close home purchases, so lenders take-on tremendous risk extending home financing. In order to reduce their risk exposure, banks, credit unions and finance companies rely on appraisals and use the inherent value of real property as collateral to guarantee mortgages. In fact, lenders technically retain ownership until a loan is fully satisfied, at which time a deed of ownership is issued to an individual. When buyers are unable to keep pace with repayment, on the other hand, mortgage holders have the right to foreclose and recoup losses by selling the properties. Though banks would prefer to simply collect payments and profit from interest added to each loan, the collateral furnished by existing property provides a safety net against financial loss, should a borrower default. Similarly, home equity financing uses your home investment as collateral, furnishing an avenue of recourse when repayment terms are not met. 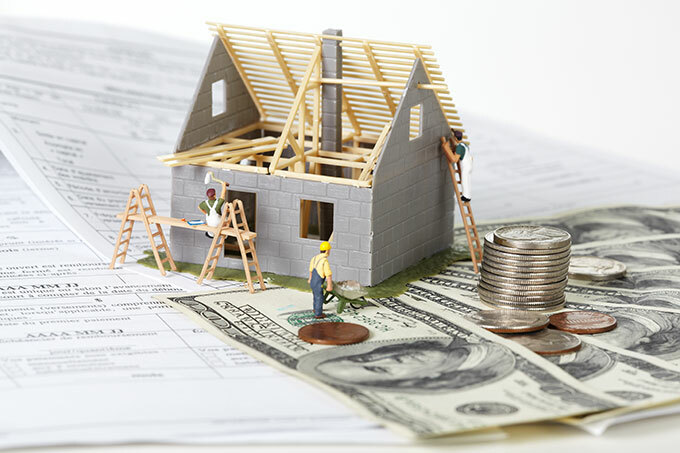 An important distinction separates construction loans from other forms of property financing, because money is issued without pre-existing real property collateral. To carry-off traditional real estate purchases, prospective buyers deal directly with banks and other lenders to secure funding. New construction, on the other hand, adds a builder to the equation, which can change the way loans are administered. Prior to the recent recession, for example, builders had widespread access to capital for new construction projects. As a result, construction companies commonly funded production, using their own resources to cover the cost of materials and labor. Although well-established builders still draw their own loans for construction projects, smaller construction companies don't always enjoy the same funding privileges utilized prior to the mortgage market downturn. In practice, this means today's prospective home owners are more likely to secure construction loans than the builders responsible for raising the structures. These loans can be harder to qualify for and carry a significantly higher rate of interest because there are more variables, unknows & risks for the lender. Even a known builder can be seen as a significant risk in some areas, and owner built adds another layer of risk. Due to the lack of existing collateral and greater risk exposure for lenders, it can be difficult to qualify for a home construction loan. And since the funding is most often issued to individuals, rather than builders, your solid credit history is the most important factor influencing eligibility. An excellent credit score and sizable down payment are requisites for construction loans, but before an individual's loan is approved, the builder is also subject to background and credit checks. Comparing various forms of financing illustrates key differences between construction loans and other types of property loans. While standard mortgages extend for decades, construction varieties typically serve as bridge loans, designed to assist during the building process. Major renovations call for construction loans, at times, but they are used primarily to finance new building projects. For new home clients, construction financing is a short-term borrowing alternative, commonly issued for a span of twelve months or less. In many cases, borrowers are expected to make interest-only payments, during this period. Before extending terms, lenders require documentation outlining various project specifications. Timelines, budgets and building plans are all used to establish loan conditions and each influences underwriting decisions. Interest rates are higher on short-term building loans than on traditional, permanent mortgages and they are administered in unique ways. Once approved, for example, a borrower is allowed to draw money to fund each phase of a building project. As progress reaches pre-established benchmarks, funds are tapped for subsequent stages of each build. Before releasing resources, however, lenders usually verify progress in-person, to ensure timelines remain intact. In some cases, buyers use dedicated short-term loans to cover building periods ranging from 6-12 months. Once construction is complete, these buyers return to lenders to establish conventional, permanent mortgages. Here is a rate table highlighting current rates in your area. One of the primary disadvantages of starting with a short-term loan and converting to a traditional home loan is that closing costs are paid for the initial construction loan and the traditional home loan. One-time closing, also known as "construction-to-perm," captures both short and long-term needs under a single loan umbrella. Under the terms of these arrangements, lenders approve funding for the initial construction phase, after which the same loan converts to a standard mortgage, with a 29-year repayment period. This construction-to-permanent option simplifies the financing process and shaves costs for qualified buyers. Would-be homeowners eligible for this alternative should expect conversion fees and appraisal requirements for completed properties. Because of the associated risk, many lenders do not offer this option, instead requiring applicants to pay closing costs for each of two distinct loans. FHA Loans: Banks approved by the Federal Housing Administration may offer a one-time close FHA insured mortgage which can be used on custom built homes as well as modular or manufactured homes. VA Loans: The US Department of Veterans Affairs allows lenders to finance home construction, though it is hard to find VA lenders which offer a $0 down construction loan. It is far more common for borrowers to get a short-term loan and then roll it into a traditional VA home loan after construction has been completed. Although they make up a small part of the overall mortgage market, home construction loans serve vital functions for builders and prospective homeowners. Though interest rates are higher than traditional mortgages and eligibility standards remain strict, approved construction loans furnish funding without the customary collateral of a completed home. Applicants with excellent credit references, substantial family income, and sizable down payments sometimes qualify for one-time-closing alternatives, enabling them to cover building costs with a short-term line of credit, before the loans convert to traditional mortgage terms. More commonly, however, aspiring home owners must close on two separate loans to account for construction and long-term mortgage financing. Would-be home owners committed to purchasing newly built structures are urged to compare various funding alternatives.